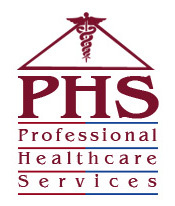 Professional Healthcare Services (PHS) Is a personal care services agency licensed by the state of Nevada. Personal care attendants (PCA’S) are trained to provide services that are non—medical but that provide assistance to those individuals that require help in the Activities of daily living. Our PCA’s are available to assist in: bathing, dressing, eating, grooming, mobility, toileting as well as other functions that enable the elderly or impaired individuals to live on their own and in their own home. PHS’s goal is to provide competent, caring and compassionate caregivers to those in need.